US Air National Guard/Staff Sgt. 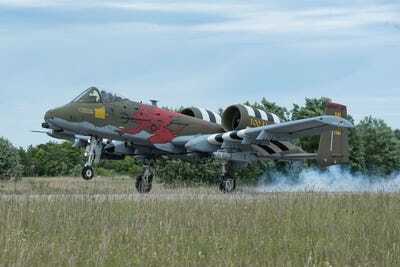 Bobbie ReynoldsA US Air Force A-10 Thunderbolt II, assigned to the 107th Fighter Squadron from Selfridge, Michigan, practices landing on a un-operational, austere runway in Haapsalu, Estonia, during Saber Strike 18, June 7, 2018. 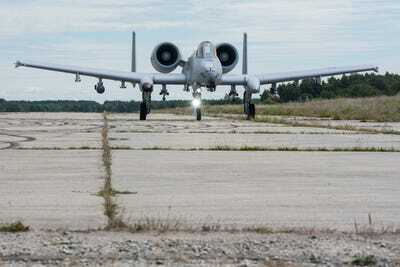 US Air Force A-10 Thunderbolts are back in the Baltics this month, practicing for rough landings on improvised runways as a part of Saber Strike 18, the annual exercise where NATO and partner forces work to improve their ability to operate across Europe and with NATO’s forward-deployed battle groups. In early June, A-10s from the Michigan Air National Guard’s 107th Fighter Squadron, based at Selfridge Air National Guard Base, practiced landing and taking off from a rural highway in Latvia and an abandoned runway in Estonia. During the Cold War, highways were considered an option for fixed-wing aircraft, as standard airstrips were likely to be targeted first in the event of conflict. 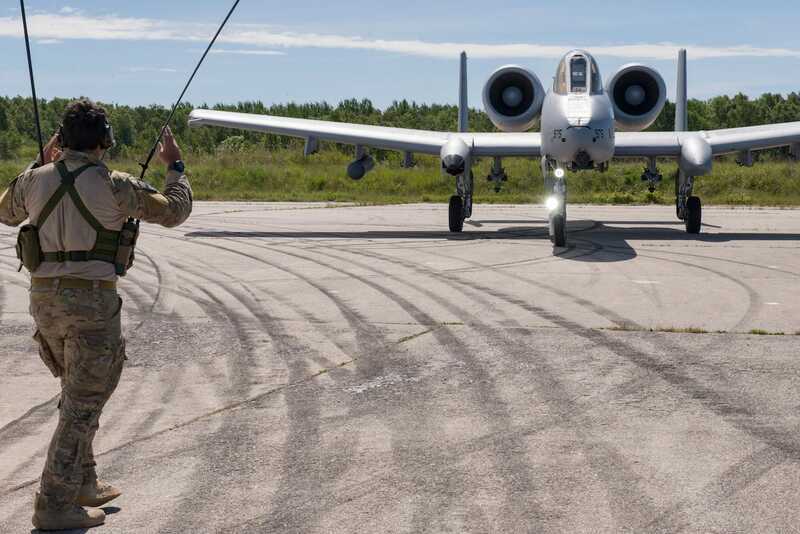 But the A-10s only recently resumed the exercise. During the 2016 iteration of Saber Strike, Warthogs from the Michigan National Guard landed on a strip of highway in Estonia – the first such exercise since 1984. In August 2017, A-10s from the Maryland National Guard practiced landing and taking off from a stretch of highway in northern Estonia. “The requirement that we’ve been tasked with to be able to force project into battle spaces where the assumption is that the enemy is going to immediately try to destroy or limit capabilities on known airfields,” said Air Force Maj. David Dennis, the detachment director of operations for the 107th Fighter Squadron. 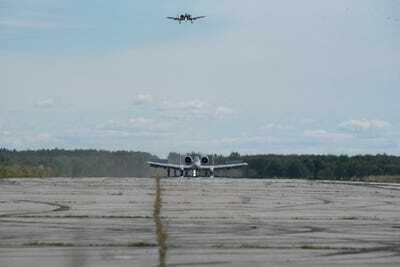 The 107th Fighter Squadron is currently deployed to Latvia. Working with members of the 321st Special Tactics Squadron’s combat controllers, the 107th’s A-10s carried out landings and takeoffs from an abandoned runway in Haapsalu, Estonia, on June 7. US Air National Guard/Staff Sgt. Bobbie ReynoldsA US Air Force A-10 Thunderbolt II, assigned to the 107th Fighter Squadron from Selfridge, Michigan, practiced landing on an austere runway in Haapsalu, Estonia, during Saber Strike 18, June 7, 2018. 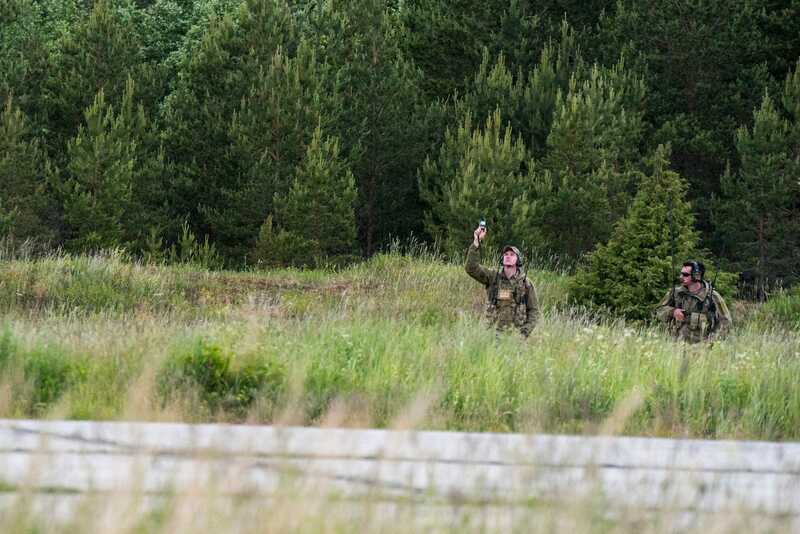 The exercise is part of Saber Strike 18, the latest version of a US Army Europe-led training exercise involving NATO countries and partner forces. This year’s iteration focuses on improving land- and air-operational capabilities, with the additional goal of training with NATO’s enhanced forward presence battle groups. US Air Force/Master Sgt. 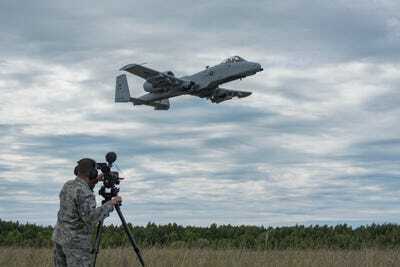 David KujawaOn a rural highway in northern Estonia, a pilot flies an A-10 Thunderbolt II attached to the 107th Fighter Squadron, Selfridge Air National Guard Base, Mich., from Lielvarde Air Base, Latvia, to practice landings and takeoffs, during the Exercise Saber Strike 18 on June 7, 2018. NATO’s enhanced forward presence battle groups have been deployed to Estonia, Latvia, Lithuania, and Poland over the past two years and are made up of units from various NATO member countries. They are still on station in those four countries and now number over 4,500 personnel in total. 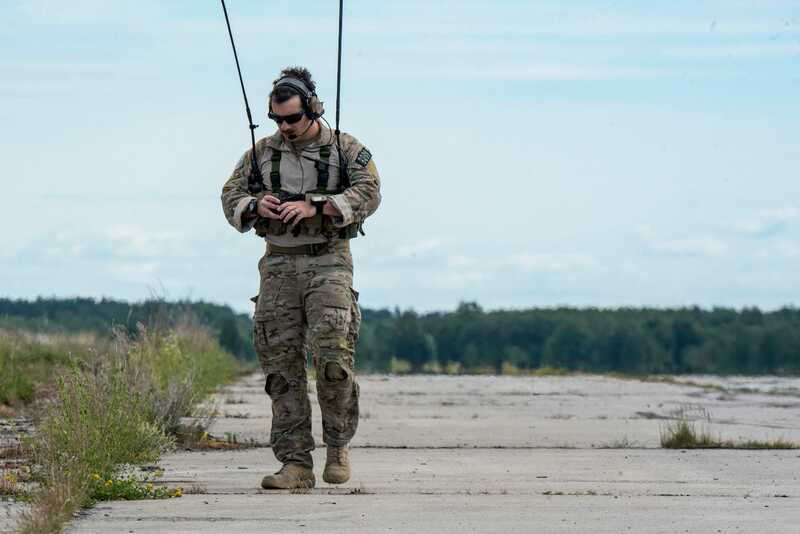 Austere-landing exercises contribute to the goal of providing close air support. “So day five, day six, day ten of the war, the assumption is that the airfields that the Air Force has been operating out of are probably compromised in some manner,” Dennis said. US Air National Guard/Staff Sgt. Bobbie ReynoldsA US Air Force A-10 Thunderbolt II, assigned to the 107th Fighter Squadron from Selfridge, Michigan, practice landing on a non-operational, austere runway in Haapsalu, Estonia, during Saber Strike 18, June 7, 2018. US Air National Guard/Staff Sgt. Bobbie ReynoldsUS Air Force Staff. Sgt. 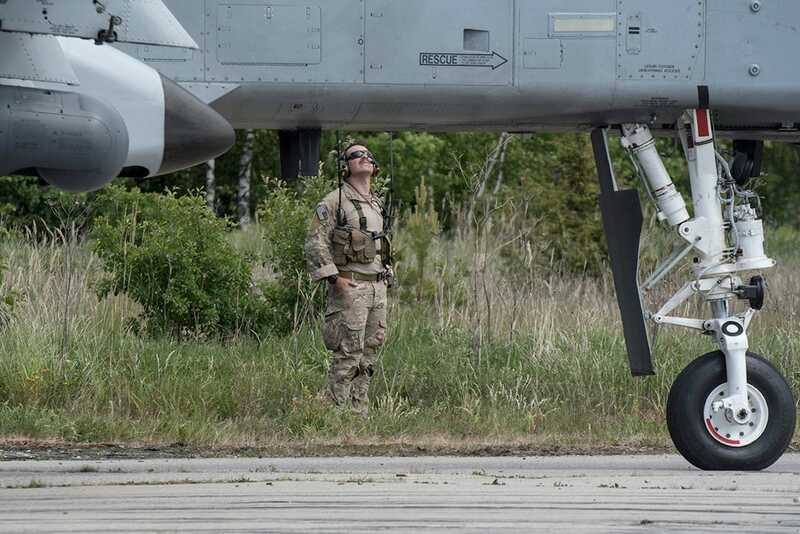 Clinton Kennedy, combat controller assigned to 321st Special Tactics Squadron in Mildenhall, England, checks an A-10 after landing in Haapsalu, Estonia, June 7, 2018. The A-10, introduced in the 1970s, was a key component of the NATO’s frontline defence during the Cold War. It served as the main antitank platform and was equipped with heavy armaments, like the AGM-65 Maverick missile and a 30 mm Gatling gun, and was heavily armoured itself in order withstand ground fire. US Air National Guard/Staff Sgt. Bobbie ReynoldsUS Air Force Staff. Sgt. 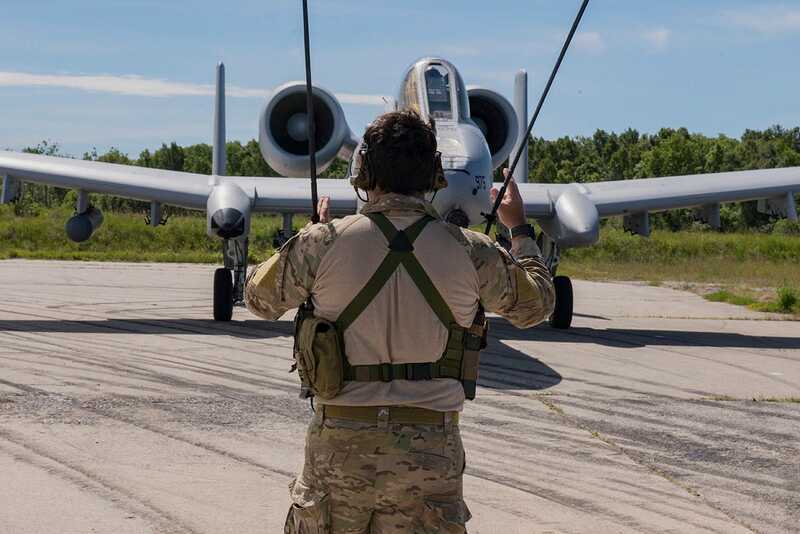 Clinton Kennedy, combat controller assigned to 321st Special Tactics Squadron in Mildenhall, England, marshals an A-10 after landing in Haapsalu, Estonia, June 7, 2018. A-10 pilots were given a colouring book to help train them to recognise Soviet tanks. The book, filled with deadpan humour and titled “What you always wanted to know about the T-62 but were afraid to ask,” colour-coded sections on Soviet vehicles to instruct pilots on which parts to target and which to avoid. Cold War planners were not optimistic about the A-10’s chances in a war. 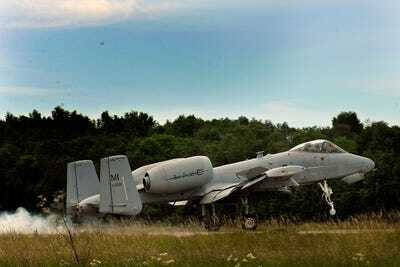 In the 1980s, the Air Force planned to put 68 A-10s at each of six forward operating bases in West Germany. Their estimates assumed a 7% loss rate for each 100 flights, meaning each forward operating base would lose at least 10 A-10s every 24 hours. At that rate, the roughly 700-plane A-10 fleet would be shot down in less than two weeks. US Air National Guard/Staff Sgt. Bobbie ReynoldsUS Air Force Tech. Sgt. Alex Goulette, crew chief assigned to 127th Wing maintenance squadron in Selfridge, Michigan, and Staff. Sgt. Clinton Kennedy, combat controller assigned to 321st Special Tactics Squadron in Mildenhall, England, communicate with A-10 pilots about landing in Haapsalu, Estonia, June 7, 2018. Current tensions with Russia are far from the level seen between the Soviet Union and the West during the Cold War. But the austere-landing exercise and other drills are meant to keep pilots and aircrews sharp and reassure allies. US Air National Guard/Staff Sgt. 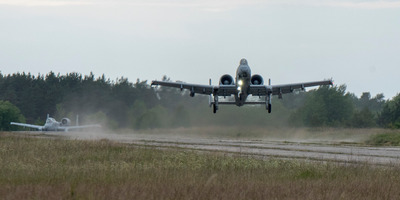 Bobbie ReynoldsA US Air Force A-10 practices landing on a non-operational, austere runway in Haapsalu, Estonia, June 7, 2018. There are three important training objectives, Dennis said. US Air National Guard/Staff Sgt. Bobbie ReynoldsUS Air Force Master Sgt. 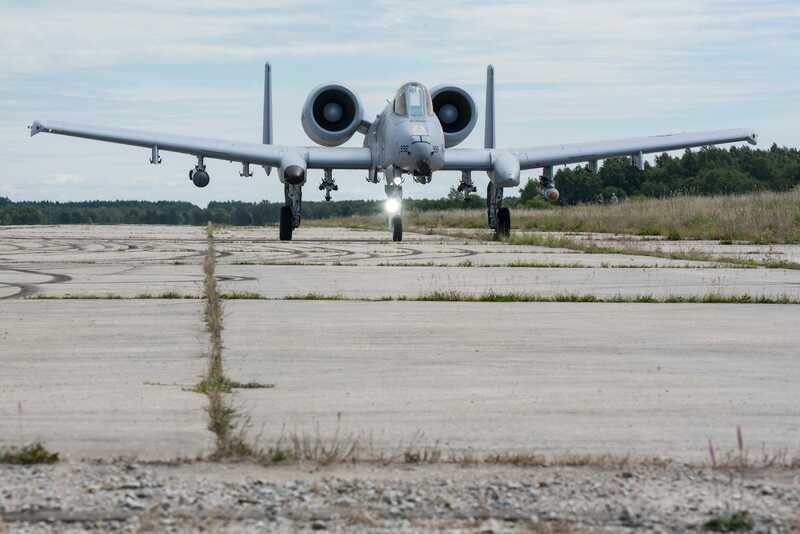 Wolfram Stumpf, public affairs assigned to the 140th Wing, Colorado Air National Guard, records an A-10 Thunderbolt practice landing on a un-operational, austere runway in Haapsalu, Estonia, June 7, 2018. US Air National Guard/Staff Sgt. Bobbie ReynoldsUS Air Force Staff. Sgt. 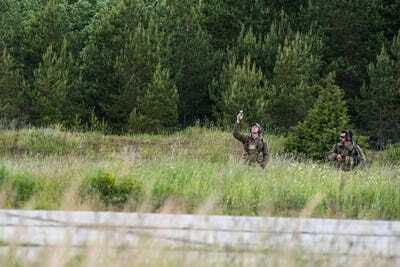 Clinton Kennedy, combat controller assigned to 321st Special Tactics Squadron in Mildenhall, England, checks the runway for foreign-object debris after A-10 landed in Haapsalu, Estonia, June 7, 2018.